TRIAC PID: micro-processor controlled temperature and electronic monitoring. 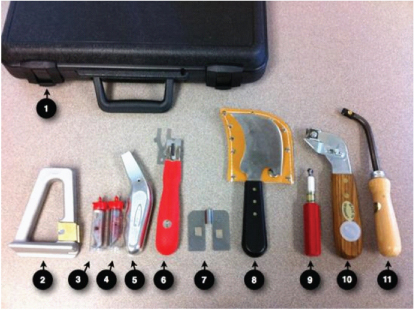 The preferred hand tool for welding with high quality. TRIAC S: the reliable, cost-effective and proven hand tool with steplessly controlled temperature range. TRIAC BT: specifically designed for the flooring industry. Weighing just one kilogram, it is the lightest in its class. 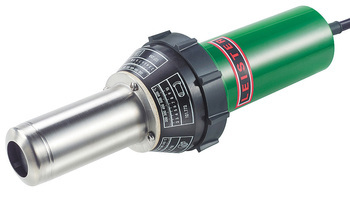 HOT JET S: The most compact hand tool from Leister: It's low weight of just 600 grams, incl. cord and slim handle, ensures fatigue-free welding and high power. TRIAC BT KIT INCLUDES:TRIAC BT hand tool 120 V / 1550 W, with US plug, two 5mm speed welding nozzles (one with small air-slide), spare heating element, delivered in the practical Leister tool box. 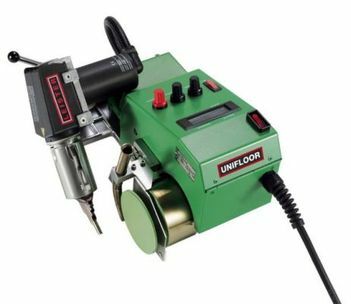 UNIFLOOR E Automatic Welder: With the UNIFLOOR E you can weld floor coverings made of PVC-P, PE, linoleum and modified thermoplastics, without any reconfiguration, up to 25 feet per minute. It is reliable, technically perfect and easy to handle. GROOVER: The grooving machine GROOVER cuts welding grooves into thick, tough floor coverings made of PVC-P, PE and linoleum. 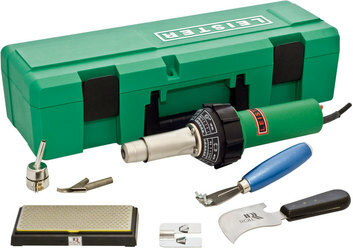 The tool glides on three rollers and cuts a uniform grooving depth, even at high speeds. 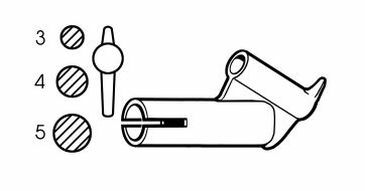 WELDING ACCESSORIES: The finest accessories available... demand LEISTER brand accessories. 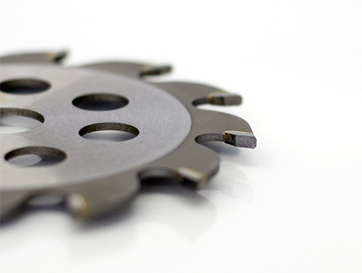 GROOVER BLADES: A wide selection of high quality groover blades designed specifically for LEISTER's GROOVER. 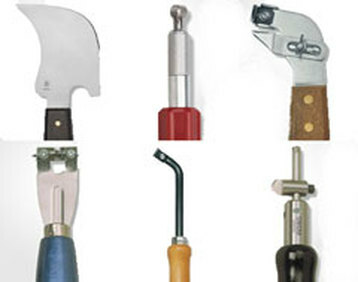 HAND TOOLS: Only the highest quality Bandle hand tools!